Thomas was born in Drumeel on the 10 January 1901; he was the second-eldest boy in a family of four (another sister, Rebecca, died in childhood). Both of Thomas's parents, died when he was young: his mother in 1904 and his father in 1916. Thomas's elder brother, William George, who was believed to have been a 2nd Lieutanant with the Ulster Volunteers, was executed during the War of Independence on the 22 January 1921, (link to Gen Seán MacEoin's witness statement - PDF page 157). 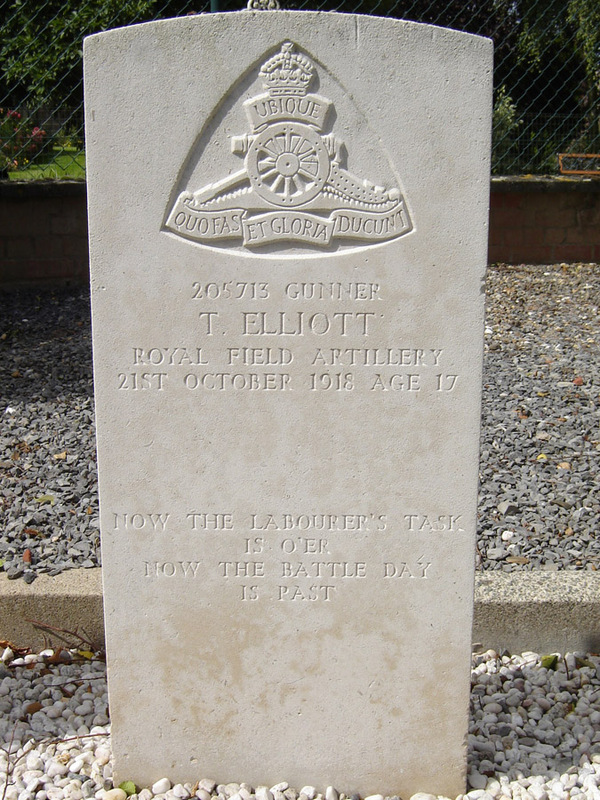 Thomas was killed in action aged 17 years. Son of William Elliot and Rebecca (née Montgomery) of Drumeel, Ballinalee*. *Address given as Drummeel, Moatfarrel P.O.